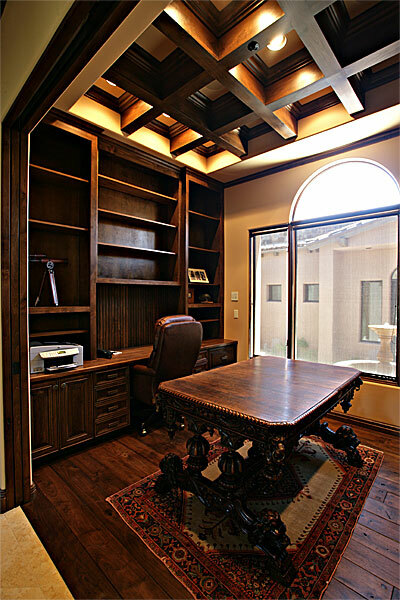 There is no custom furniture or custom woodworking project too small or too large. 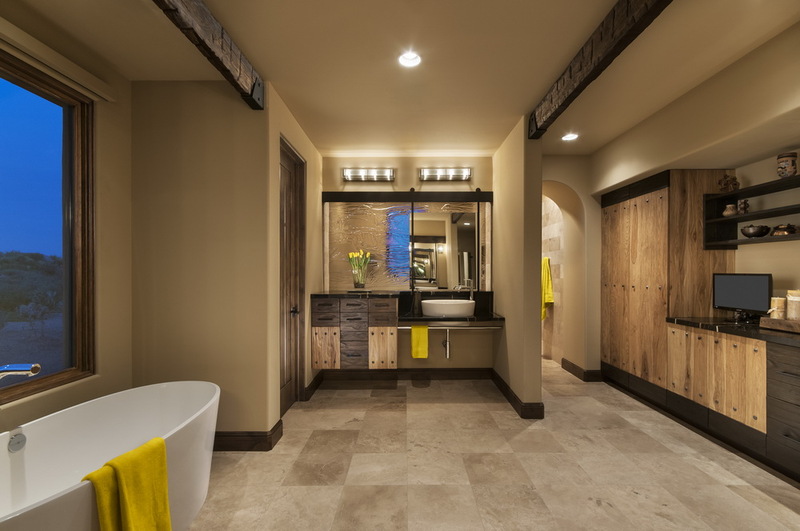 We have our own custom furniture and woodworking shop located in Arizona serving Scottsdale, the Phoenix area and Flagstaff, complete with a spray booth and professional finishers to match any existing work. We can design and build custom wood furniture and a custom entertainment center that reflects your unique style transforming your space with stunning custom furniture that will compliment any architecture. 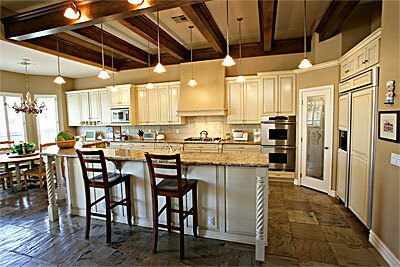 Seldom does a week go by that Handcrafted Cabinets doesn’t do something in the remodeling industry. Our forte is matching what you already have. With our own spray booth and professional finisher we can make the old and new look the same. Why live in what you have when you can have something so much better? We can build your dream closet with our award winning cabinetry and woodwork. 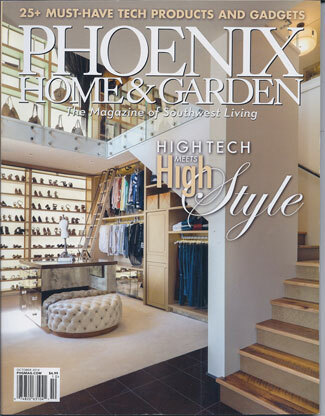 One of our closets was recently featured in the Phoenix Home and Garden Magazine. We had a fun time chosing our cabinet style, colors, and options. The selections were great and Steve managed to find the right cabinets to fit our kitchen at the right price to fit our budget. During the remodelling, Steve would visit the construction area and provide guidance and assistance to help prepare the kitchen for the new cabinets. When they finally arrived, his staff installed them all in one day. We have been pleased with the end product and would recomend his quality services to anyone. Handcrafted Cabinets & furniture are the top of the line for a very reasonable price and have the latest technology in cabinets. Steve was great to work with. He was straight forward and honest in his dealings and quick to get things done. You will never work with a better owner who does what he says he will do and more. Our cabinets turned out beautifully and even better than I imagined they would. 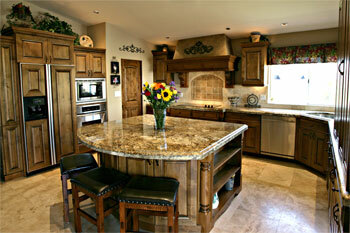 Handcrafted Cabinets is a wonderful company to work with and I would recommend them to any of my friends. Thank you for your professional manner and the knowledge you shared with us in providing such a beautiful solution to a very perplexing problem. We are so pleased that we wanted to record our experience so you could share it with those who may be considering the services of Handcrafted Cabinet and Furniture company. Not only was your talent and craftsmanship greatly appreciated but you were very enjoyable to work with and we would recommend you and your company to any of our friends.